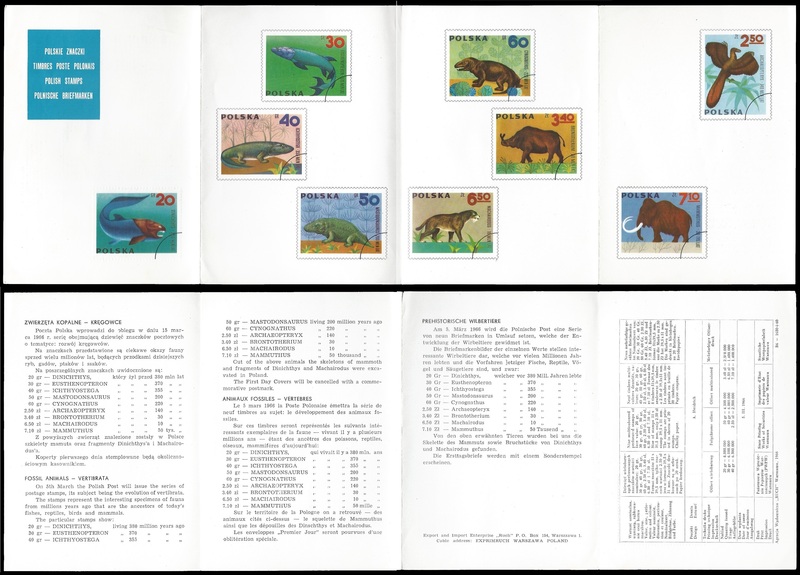 In March 1966 the Ministry of Posts and Telecommunication issued multicoloured set consisting of nine stamps representing fossil animals vertebratae. 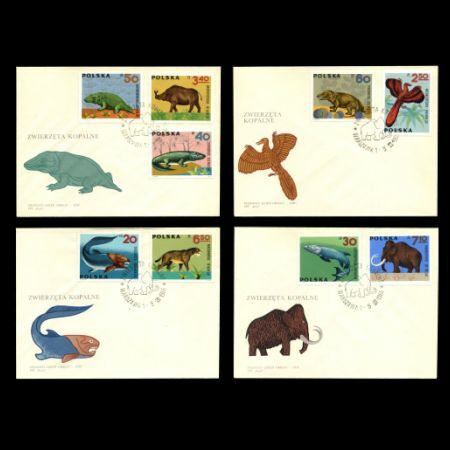 These stamps shows major stages of vertebratae animal evolution, starts on Devonian fish Dinichthys, through first, primitive amphibian till well recognized Mammuthuss. 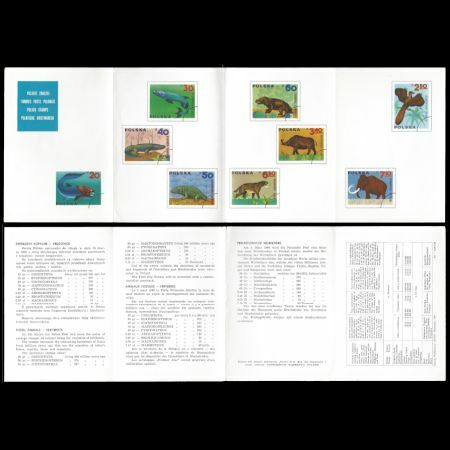 This set is issued just one year after since the first Polnish stamps depicted dinosaurs are printed out and two years before Polnish Paleontologist start dig into Gobi desert together with their Mongolian colleagues. 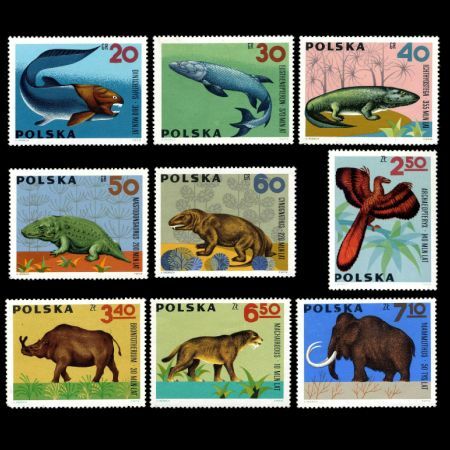 During several common Polish-Mongolian expeditions many dinosaurs fossils are found, some of them are on show in museums in Poland and even depict on stamps issued in 2000. 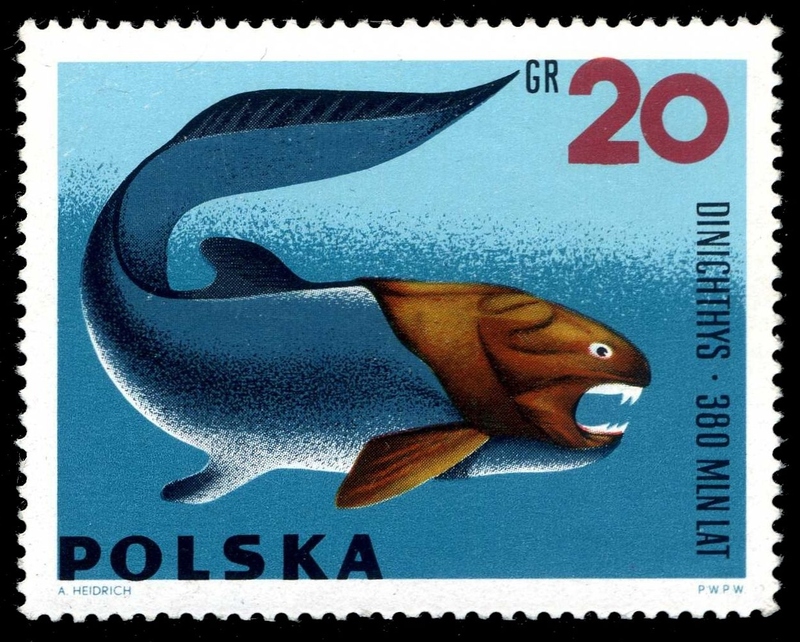 Illustrations of famous Czechoslovakian painter Zdenek Burian are issued for these stamps. Dinichthys, a Devonian fish of group Arthroctlra (Gnathostornata) that lived in salt seas 380 million years ago. 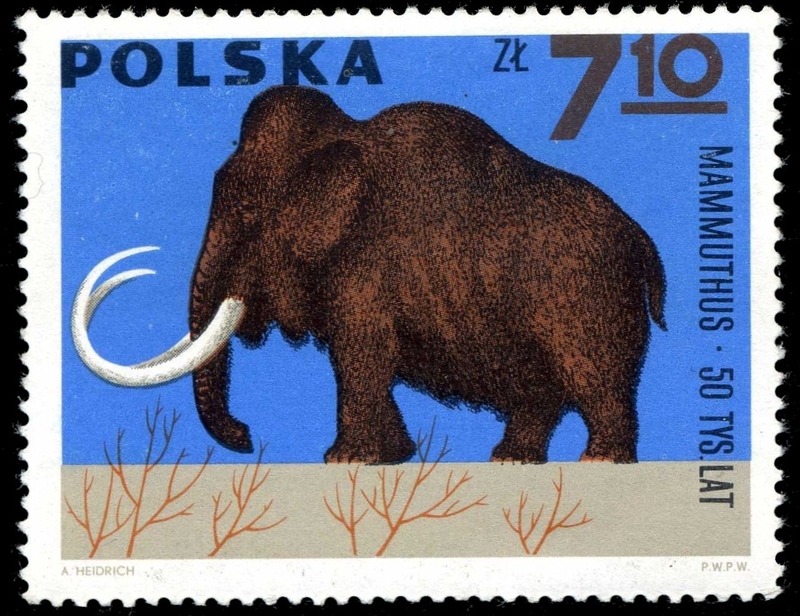 She was predator and quite large: 1 meter head and trunk about 5 feet long. Remains of this fish are also known from and Devonian sediments of Poland Eusthenopteron, a Devonian fish of group Crossopterygia that lived in shallow fresh walem 370 years ago, and probably was the ancestor of first primitive terrestrian, amphibians. 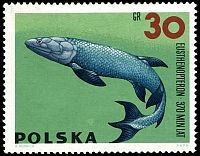 A characteristic feature of this fish are strong, fleshy fins reinforced with bone skeleton. 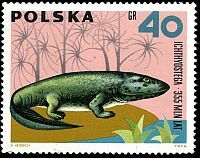 Mastodonsaurus, the biggest amphibian of the Triassic period (about 200 million years ago) of group Steoocephatia, measuring about 3 meter together with its head (1m about). Cynognathus, a Triassic reptile that lived about 220 million years ago. 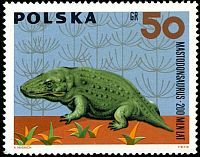 The animal was a predator and belongs to group of so-called mammal-like reptiles (Theromorpha). 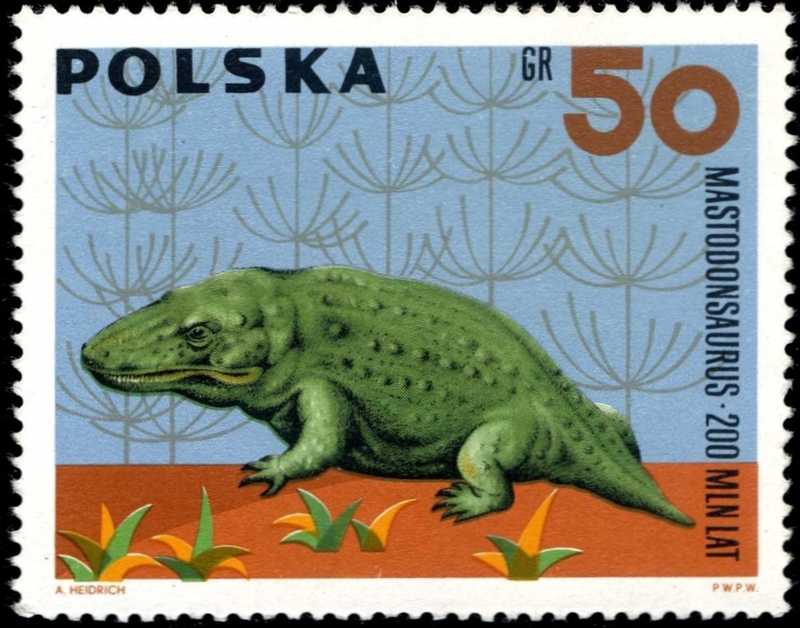 Its body was up to 2 meter long. Cynognathusa remains are found in the Karroo formation in South Africa. Archaeopteryx the first ancestor of brids in Upper Jurassic (about 140 million years ago). 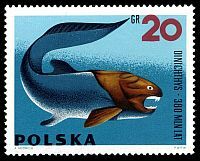 Its remains found at lithographic limestone by Solenhofen (Bavaria - Germany). 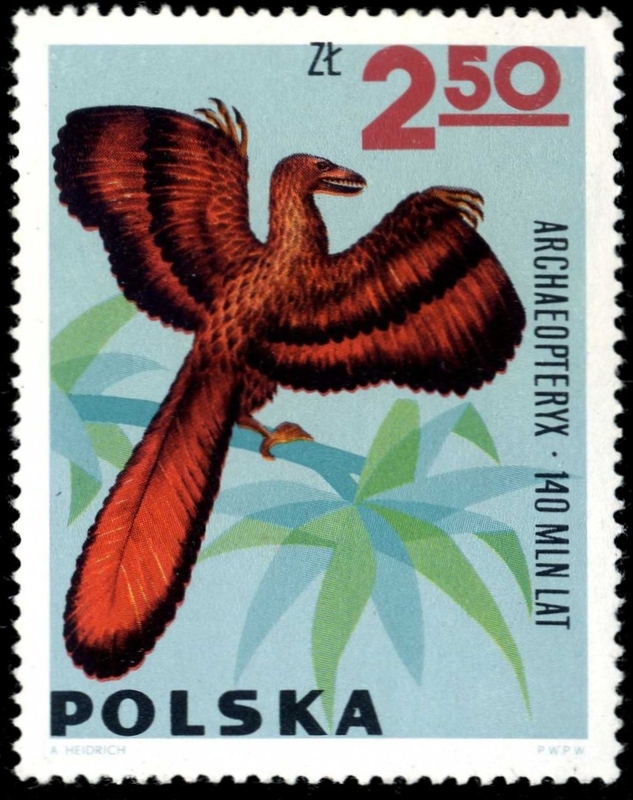 It resembled birds in having wings and feathers, while its teeth, tail and skuli showed it was still a reptile It was not actively flying a sbird, but climbed on a tree by using a sharp claws of the forepaws (wings) and haggard figure was falling to the ground glide. Has a size more or less equal to today's pigeon and was an predator who eat some insects, worms, fruits and seeds. Broutotherium a huge Perissodactyla of Titanotheridae group lived about 30 million years ago. 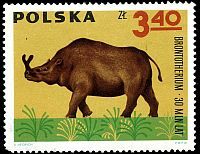 It combined features of an elephant (pillar-like legs) and of a rhinoceros (body structure). Inhabited the steppes of eastern North America and Asia (Mongolia). His remains were known and are also in Europe. 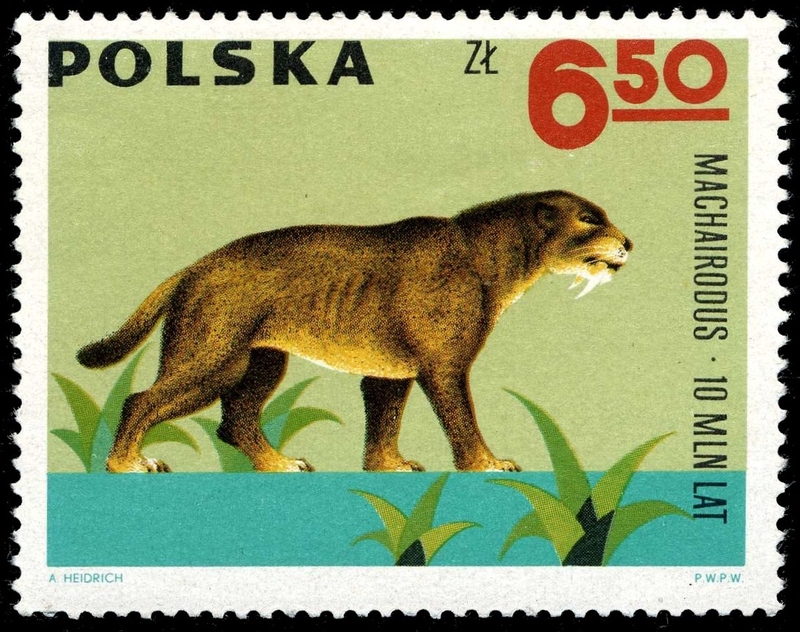 Machairodus, one of the sabze-toothed tigers, one of the most rapacious representatives of feline family living in the Tertiary, about 10 million years ago. 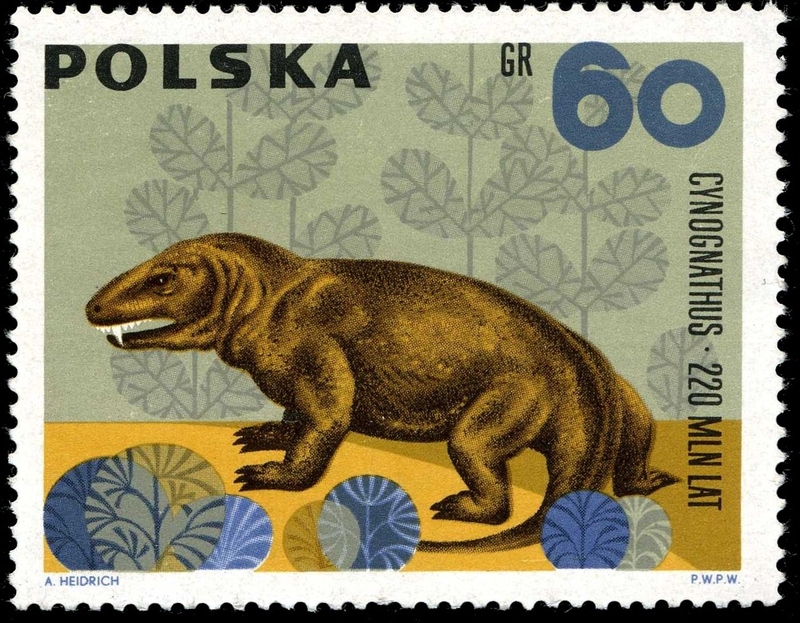 He lived in Europe, Asia and northern Africa during the Miocene and Pliocene periods. 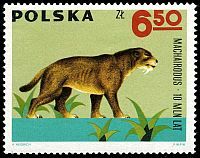 His kinsman is American Smilodon. 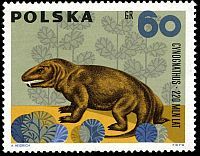 Machairodus extinct early in the ice age, and his remains were found are also in Poland. 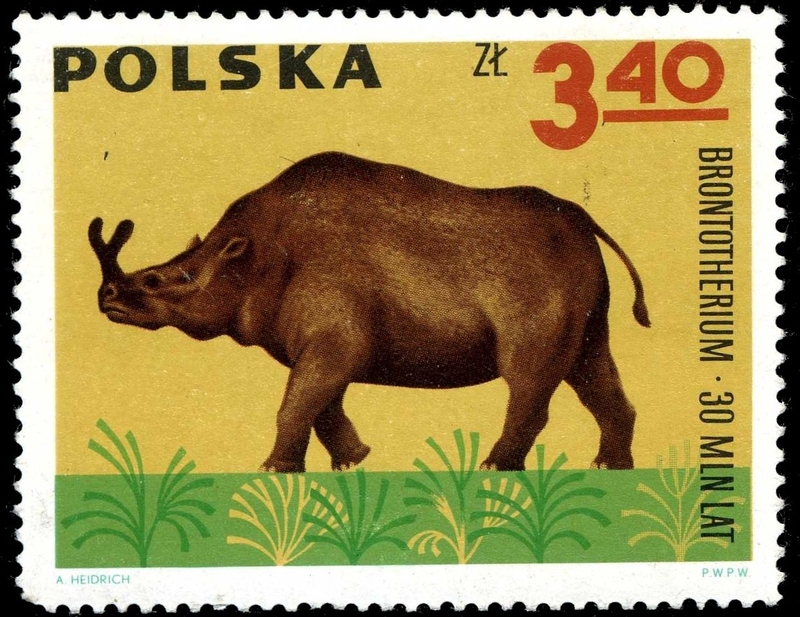 (in Poland - at the Museum of the Polish Geological Institute in Warsaw). 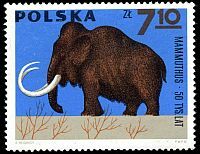 Its contemporary cave man hunted it, and drew its pictures on the walls of the caves.